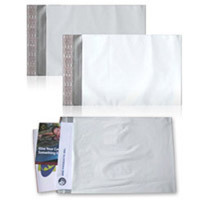 AVG Packaging Supplies’ Poly Bag Mailers are economical and perfect for shipping a variety of non-fragile items. 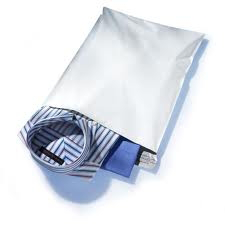 Our co-extruded polyethylene, self-sealing poly mailers are strong and tamper evident. They are capable of withstanding fraudulent attempts via high or low temperatures and chemicals. AVG Packaging Supplies’ Wholesale Poly Mailers allow you to reduce shipping costs while ensuring that your products are protected from the elements. Incredibly strong and tear resistant our Poly Mailers are ideal for shipping towels, clothes, fabrics, documents, and etc. Upgrade your company’s image with AVG Packaging Supplies’ Self-Seal Poly Mailers. If you plan to ship something more fragile we suggest ordering our poly bubble mailers, Kraft bubble mailers or metallic bubble mailers to ensure your items stay safe during transportation. Poly Mailer - 7.5" x 10.5"
Poly Mailer - 14.5" x 19"